Company targets revenues of Rs 45,000 crore. 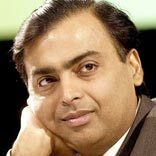 Mukesh Ambani’s Reliance Industries is keen to expand its presence in the cash and carry format with Reliance Market, a division of Reliance Fresh, planning to add 20 new stores by the end of this FY and 60 more in the next three years. Reliance Market has seven stores currently in Ahmedabad, Bangalore, Anand, Faridabad, Guntur, Chennai and Mumbai. These stores are spread over between 50,000 and 1,20,000 sq ft. Addressing shareholders in June, RIL Chairman Mukesh Ambani spoke about seeing the company’s retail business becoming a significant growth engine over the next few years with an ambitious revenue target of Rs 40,000 crore to Rs 50,000 crore. The company’s retail business clocked revenues of over Rs 10,000 crore in 2012-13, and a cash break-even with earnings before depreciation, finance cost and tax expense (EBDIT) of Rs 78 crore. Unlike multi-brand retail, there are no restrictions on sourcing in the cash and carry segment. Foreign retailers operating in the cash-and-carry space include Germany’s Metro, Carrefour of France and the world’s largest retailer, the Arkansas-based Wal-Mart in partnership with Bharti. Reliance Market is positioned as a cash-and-carry wholesale format, catering to the trading and business community to provide them with an alternative channel for products that they need for their businesses.